In recent years, scientists have worked with advanced motion picture cameras capable of shooting at astonishing speeds—trillions of frames per second—to learn more about, for example, the movement of light, sonic booms, and that process of heat transfer. But stop-motion imaging has long been an essential scientific research tool. 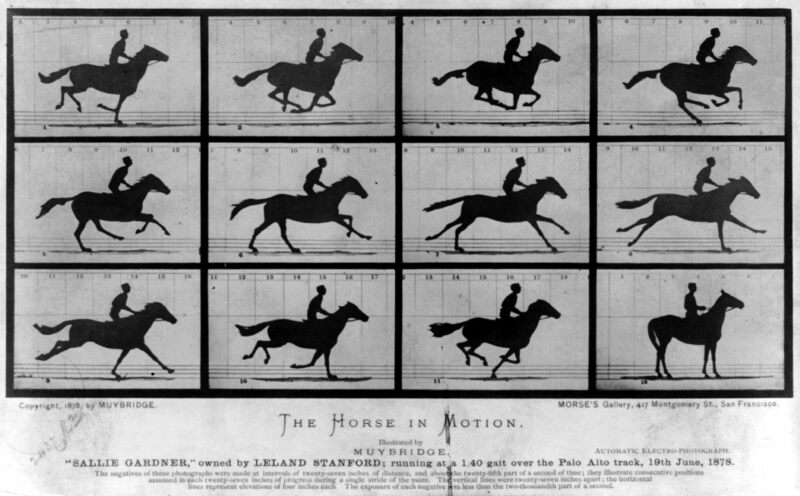 It was pioneered by the entrepreneurial and English-born photographer Eadweard Muybridge (1830-1904), who rigged up a system of a dozen cameras in California to help Leland Stanford—railroad tycoon, racehorse owner, politician and the founder of Stanford University—to settle a bet about a thoroughbred’s gait and whether all four hooves ever left the ground at one time. 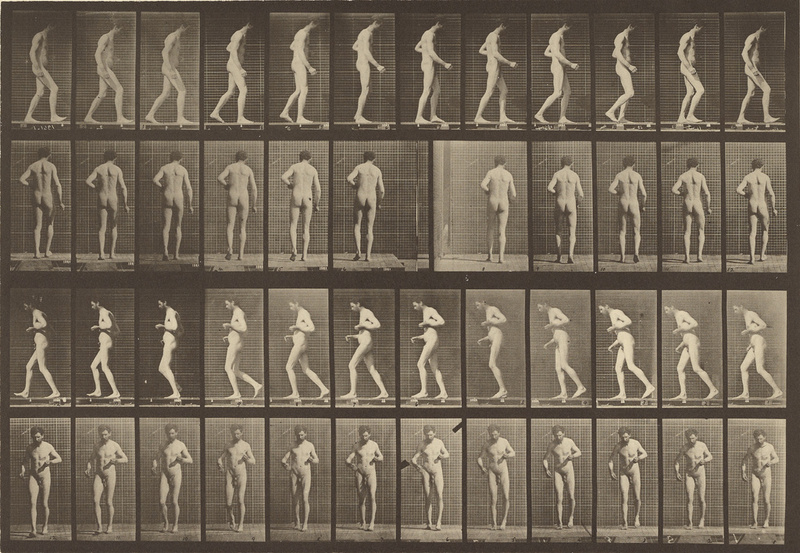 (The sequential and elegant images Muybridge produced in 1878 proved that they did.) 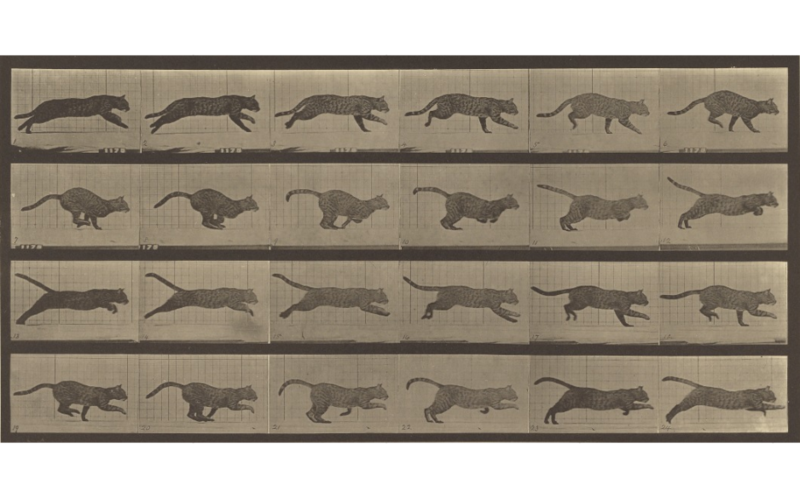 Muybridge continued to perfect his camera-synchronization set-up and further study locomotion by photographing human models and, in the 1880s, an assortment of the animals housed in the Philadelphia Zoological Gardens. 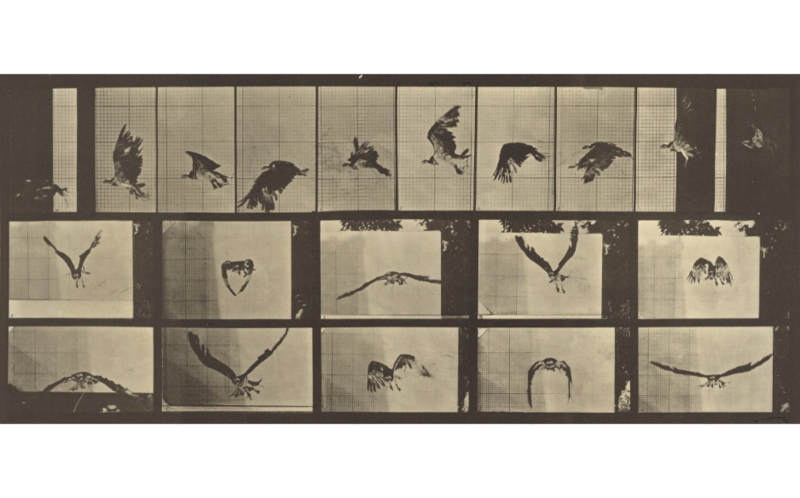 His composited images, often shot against gridded backgrounds in order to make movement easier to note and measure, were widely published and instrumental in transforming the practice, scope, and look of scientific photography.